If you have similar boards, please leave links in the comments. I would love to stop by! 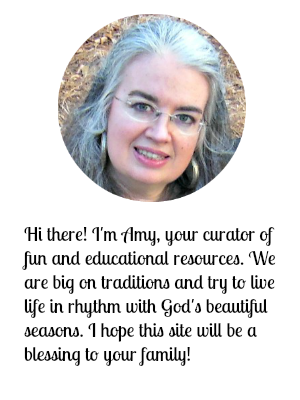 Follow Amy T @ Are We There Yet?’s board Autumn on Pinterest. 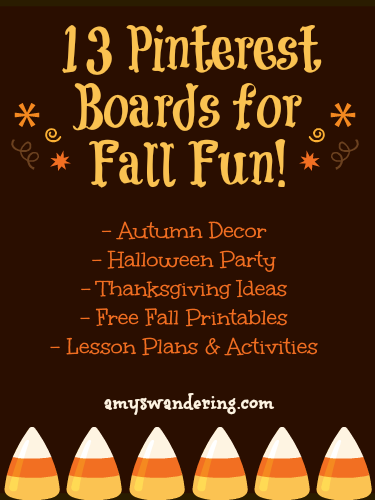 Follow Amy T @ Are We There Yet?’s board Free Fall Printables on Pinterest. 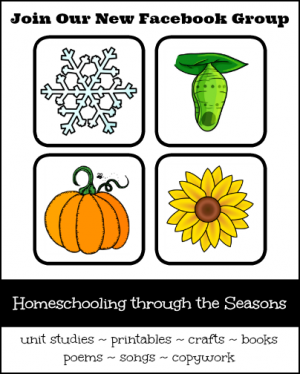 Follow Kid Blogger’s board KBN Season: Fall / Autumn on Pinterest. Follow Kid Blogger’s board KBN Halloween for Kids on Pinterest. Follow Blessed Beyond a Doubt’s board Apples, Apples, and more Apples on Pinterest. 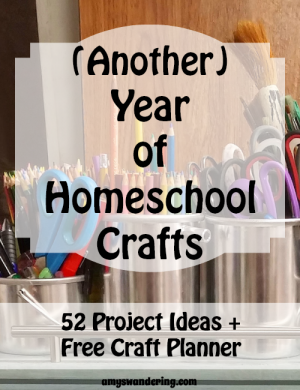 Follow Blessed Beyond a Doubt’s board Fall School Ideas on Pinterest. 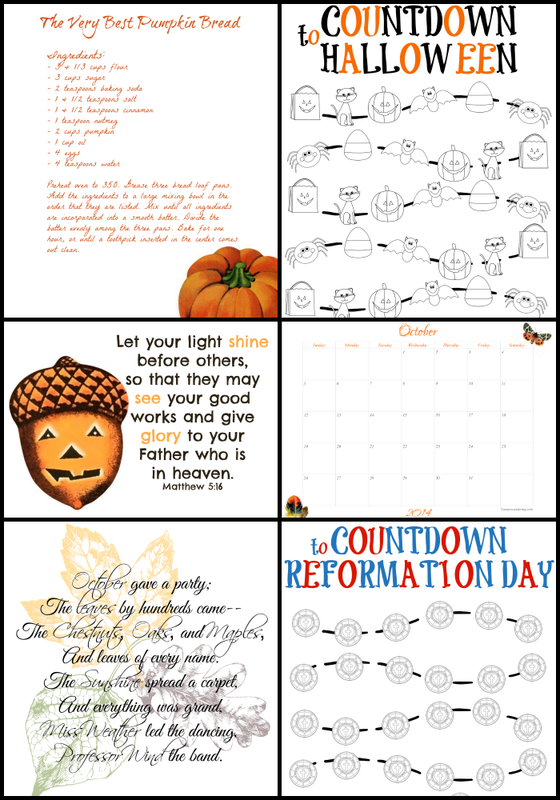 Follow Blessed Beyond a Doubt’s board Thanksgiving School Ideas on Pinterest. Oh it thrills my heart to know that so many of you enjoyed last month’s new freebie idea! 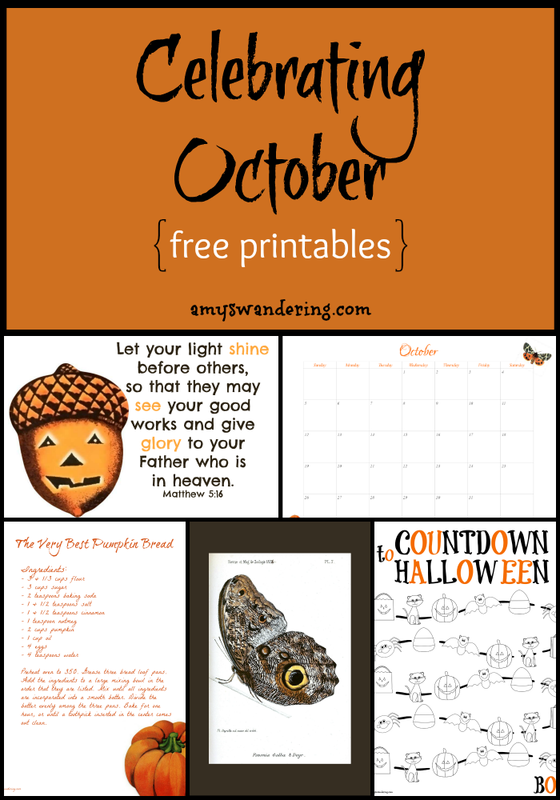 I had fun putting together this Celebrating October set, and I hope it is a blessing to your family. 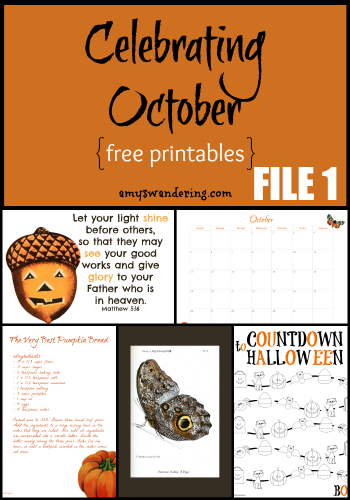 The Celebrating October set can be downloaded by clicking on the pics below. 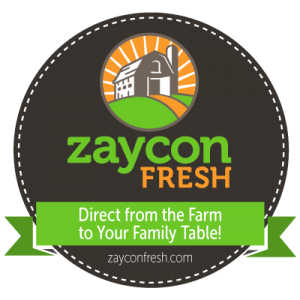 For best results, make sure your printer is set to borderless or whole page. I recommend printing on cardstock. 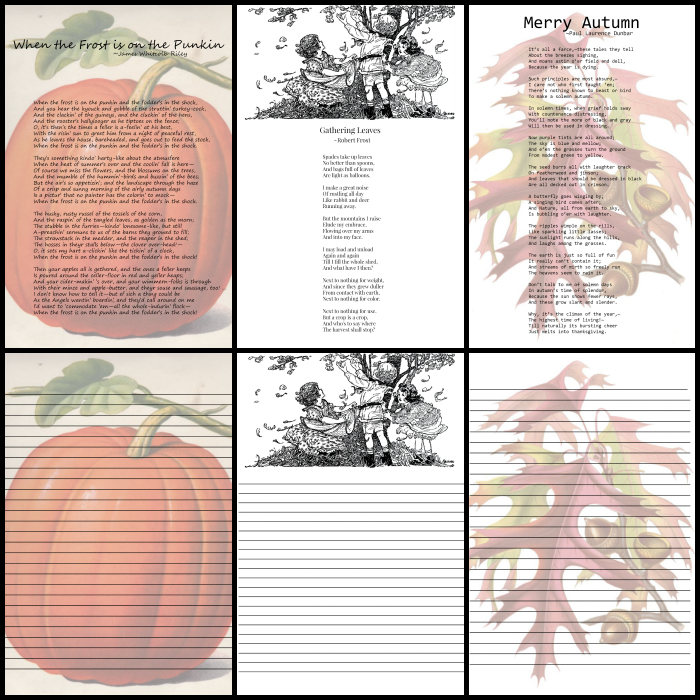 Edited to add: I mistakenly listed October Gave a Party as October Threw a Party on the contents page. 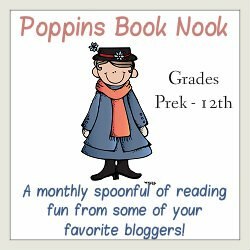 It is time once again for Poppins Book Nook. 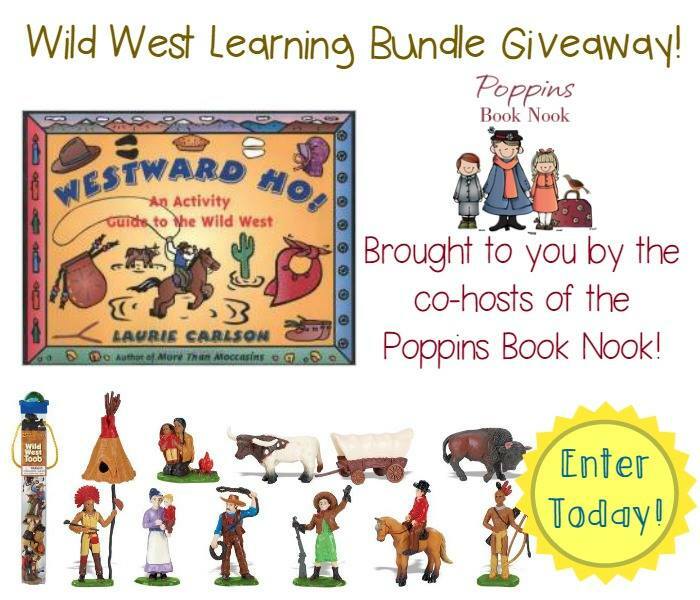 This month’s theme is: The Wild West. 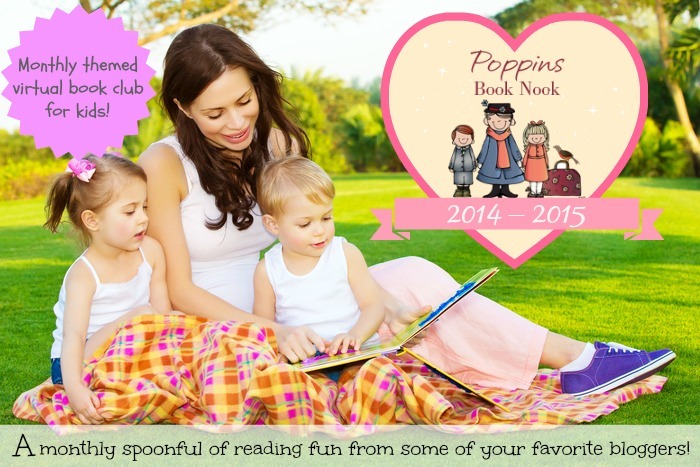 Please join in the fun with the linky & giveaway at the end! We decided to focus on the critters of the Wild West. 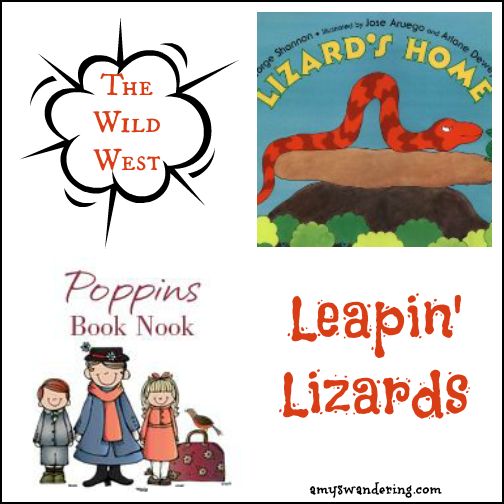 Lizard’s Home is a cute story about a lizard who has to outwit a sneaky snake that has invaded his home. We have lizards everywhere around our home, and we enjoy studying their patterns and colors. I printed out a lizard outline for Sweetpea to decorate. She colored it, cut it out all by herself, and glued on pieces of brightly-colored chenille stems. She even added accessories. Doesn’t every lizard need a bright pink scarf? Feel free to download the lizard pattern if your child would like to decorate one too. 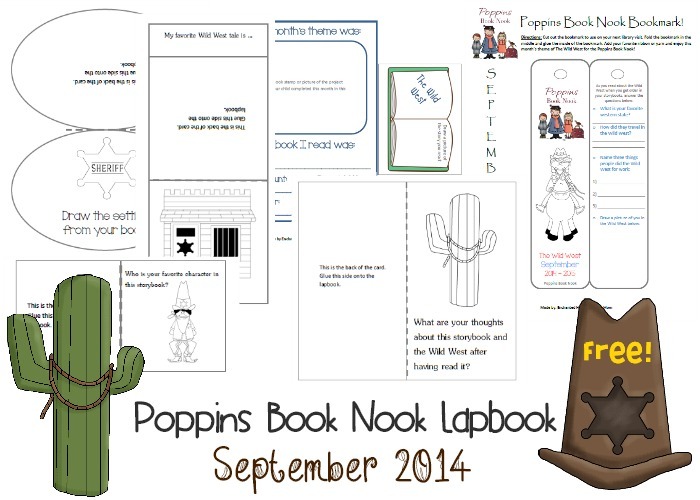 Don’t forget to print out your September Lapbook to document your adventure this month. 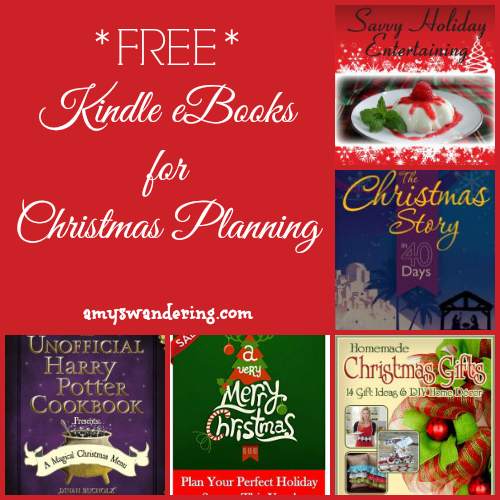 These ebooks were free at the time of posting but that could change at any moment. As always, check before you click!! 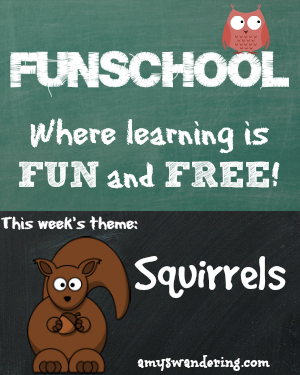 This week’s theme is Squirrels.